This may lead to some unique health benefits. To get the most from resistant starch, choose whole, unprocessed sources of carbohydrate such as whole grains, fruits, vegetables, and beans/legumes. 1 What makes a starch “resistant”? 5 Where is RS found? 6 How much RS should we consume? 10 Another potential source of butyrate is fermented foods. All starches are composed of two types of polysaccharides: amylose and amylopectin. 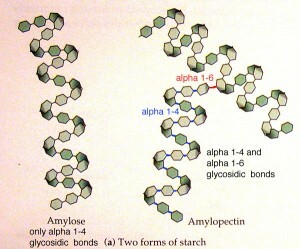 Amylopectin is highly branched, leaving more surface area available for digestion. 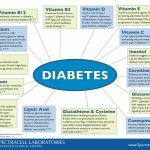 It’s broken down quickly, which means it produces a larger rise in blood sugar (glucose) and subsequently, a large rise in insulin. Amylose is a straight chain, which limits the amount of surface area exposed for digestion. This predominates in RS. Foods high in amylose are digested more slowly. They’re less likely to spike blood glucose or insulin. Thus, resistant starch is so named because it resists digestion. While most starches are broken down by enzymes in our small intestine into sugar, which is then absorbed into the blood, we can’t fully absorb all kinds of starch. Some starch — known as resistant starch (RS) — isn’t fully absorbed in the small intestine. Instead, RS makes its way to the large intestine (colon), where intestinal bacteria ferment it. RS is similar to fiber, although nutrition labels rarely take RS into account. However, RS still plays an important role in our diets even though we don’t necessarily absorb it. When RS is fermented in the large intestine, short chain fatty acids (SCFA) such as acetate, butyrate, and propionate, along with gases are produced. SCFAs can be absorbed into the body from the colon or stay put and be used by colonic bacteria for energy. The amount of SCFAs we have in our colon is related to the amount and type of carbohydrate we consume. And if we eat plenty of RS, we have plenty of SCFAs. RS can also help us stay lean and healthy. Researchers found that less-processed foods offered less energy than refined foods. In other words, although whole and processed foods may contain the same amount of calories, we absorb fewer calories of energy from whole foods. Since RS is incompletely digested, we only extract about 2 calories of energy per gram (versus about 4 calories per gram from other starches). That means 100 grams of resistant starch is actually only worth 200 calories, while 100 grams of other starch gives us 400 calories. High-RS foods fill you up, without filling you out. The way we’ve modified/processed grains and starchy vegetables in the modern food supply diminishes the amount of RS we consume (think: cereal bars instead of oats, burgers instead of beans, potato chips instead of boiled potatoes). And fiber sources such as wheat bran, psyllium, and methyl-cellulose (Citrucel) don’t have the same benefits. Thus, to get the most benefits from RS, we need to consume it in whole food format. Most developed countries (including Europe, the United States, New Zealand, and Australia), which have a highly processed diet, consume about 3-9 grams of RS per day. In developing countries, diets are often based around whole plant foods and the intake of RS tends to be around 30-40 grams per day. RS may help to lower blood cholesterol and fats, while also decreasing the production of new fat cells (the latter has only been shown in rats). Also, since SCFAs can inhibit the breakdown of carbohydrates in the liver, RS can increase the amount of fat we utilize for energy. RS can help us feel full. SCFAs can trigger the release of hormones that reduce the drive to eat (leptin, peptide YY, glucagon like peptide). After someone starts eating more RS, it may take up to one year for gut hormones to adapt. RS slows the amount of nutrients released into the bloodstream, which keeps appetite stable. RS doesn’t digest into blood sugar, which means our bodies don’t release much insulin in response. RS might also improve insulin sensitivity via alterations in fatty acid flux between muscle and fat cells. Some data indicate that ghrelin might increase with RS consumption, improving insulin sensitivity (this is counterintuitive since ghrelin drives appetite). RS may also lower blood fats (see above), which also improves insulin sensitivity. RS may help alleviate irritable bowel syndrome, diverticulitis, constipation, and ulcerative colitis. RS can add bulk and water to the stool, aiding in regular bowel movements. SCFAs can help to prevent the development of abnormal bacterial cells in the colon and enhance mineral absorption (especially calcium). Since RS has less energy (calories) per gram than other starches, it can help us eat less. And consuming more RS may have a thermic effect in the body. For those receiving treatment for cholera and/or diarrhea, RS can assist in the rehydration process (since it can normalize bowel function). Consuming RS can influence the production of immune cells and inflammatory compounds in the gut. The longer and hotter a starch is cooked, the less RS it tends to have — except for Type 3 RS. Cannot be broken down by digestive enzymes.Found in: legumes, whole and partially milled grains, seeds. Intrinsically resistant to digestion and contains high amounts of amylose.Found in: fruits, potatoes, hi-maize RS products, corn, some legumes.Note: the more “raw” or “uncooked” a food is, the more RS it tends to have, since heat results in gelatinization of starch – making it more accessible to digestion. Type 3 starch is the exception to this rule. When certain starch-rich foods are cooked and then cooled, the starch changes form, making it more resistant to digestion.Found in: cooked/cooled foods like potatoes, bread, rice, cornflakes. Companies have isolated RS (usually from corn) to include it in processed foods (e.g., breads, crackers, etc. ).This is not naturally occurring RS — it’s produced mostly via chemical modification, and it’s found in synthetic and commercialized RS products, such as “Hi-Maize Resistant Starch”. How much RS should we consume? Data indicates that RS is safe and well tolerated up to about 40-45 grams per day. Consuming more than this might result in diarrhea and bloating, since high amounts can overwhelm the fermenting ability of our colonic bacteria. How we respond to RS varies by the type. One might notice more side effects when consuming RS3 (versus RS1, RS2, RS4). Our ability to ferment RS can increase over time, making it possible to adapt to a higher RS intake. Here’s an idea how much RS is found in food. Note: these are average values and will vary. We absorb more energy (calories) from cooked and highly refined and processed carbohydrate dense foods. If we let machines and ovens do the digestion for us, we are left with highly digestible starches. Not good for glucose control, staying lean, or intestinal health. Various cultures thrive and stay lean when eating whole unprocessed legumes, intact grains and starchy vegetables. RS may be one factor that enables this. More than 40 grams/day might cause digestive problems — especially if this RS comes from industrially produced RS products. In any case, we probably don’t get the same benefits of RS if it’s processed (i.e. an industrially created RS product) as we do from whole foods. So why is some of the starch resistant to digestion and what does cooking and cooling do to starch? Starch is made up of glucose molecules linked together to form amylose and amylopectin. Amylose has a linear molecular structure and can stack to form tighly packed granules which is insoluble and hard to digest whereas amylopectin has a branched structure and thus cannot form tighly packed granules and and is thus easier to digest. Most plants contain about 20-25% amylose. But some, like pea starch have 60% amylose and certain species of maize starch have 80% amylose (e.g. Hi-Maize(r)) – these plants are therefore very high in RS. Some starch may be physically trapped inside intact plant cells as in wholegrain foods like muesli and grainy bread. This starch is therefore inaccessible because digestive amylases are unable to penetrate or break down the cellulose cell walls. The higher the amylose content of starch the greater its resistance to digestion because they form tighly packed granules in cells. Raw potato, green bananas, pulses and high amylose maize starch have a high amylose content. When starch is heated, starch granules swell and are disrupted. This process, known as gelatinisation, makes the starch much more accessible to digestive enzymes. Starch with a high amylose content and starch which is inaccessible due to the physical structure in which it is located, are less susceptible to gelatinisation and hence are more resistant to digestion. When starch that has been heated, is cooled, retrogradation occurs converting some of the gelatinised starch to a crystalline form which is resistant to digestion. Foods, such as bread, cornflakes, cold cooked potato, rice and pasta, contain retrograded starch which is resistant to digestion. Another hypothesis is that lack of SCFAs is behind such diseases of civilization. 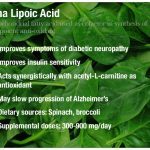 A SCFA called butyrate provides some insight into this. Butyrate is the preferred fuel of the colonic epithelial cells and also plays a major role in the regulation of cell proliferation and differentiation (Wong, de Souza, Kendall, Emam, & D. J. a Jenkins, 2006). Lower than normal levels have been found in patients with several diseases, notably types of colitis and inflammatory bowel disorder. Studies show such diseases can be treated through application of butyrate in the colon. That and the fact that some studies show complete remission through bacteriotherapy transplants point to these diseases being caused by disturbed populations of gut bacteria. Interestingly, these diseases are common in captive populations of apes and unheard of in wild apes (McKenna et al., 2008). Bacteria affect butyrate production, but so do dietary inputs. Certain fibers produce more butyrate than others in humans, whether or not this differs between primates would be an interesting avenue of research (Smith, Yokoyama, & German, 1998). Resistant starch represents the growing nuance in understanding of fiber, since it is a starch that acts like a fiber in terms of acting as a bacterial substrate. It first showed up on the scientific radar when scientists found that low rates of colon cancer were not just found in populations with high-fiber diets, but those with high-starch diets (O’Keefe, Kidd, Espitalier-Noel, & Owira, 1999)1. Researchers found that a particular starch resisted digestion and ended up being fermented by colonic flora. They called this resistant starch and it is found mostly in cooked starches, some raw starches like green bananas, and some rough unprocessed grains and seeds. The former is termed type III and is a major part of the diets of many foraging populations who consume pounded and cooked starches like cassava, taro, true yam, and sago palm. Whether or not humans are better adapted to certain types of resistant starch remains unexplored, but could account from some inconsistent results in studies that used type I resistant starch, mostly found in grains and seeds that would have probably been relatively uncommon in our ancestral diet. These studies have shown poor results and others with promising results are marred by high drop out rates due to unpleasant gastrointestinal side effects (Rinne et al., 2005; de Vrese & Marteau, 2007; Vuksan et al., 2007). Whether some populations would do better on this type of starch versus others would be an interesting investigation, but very few cultures consume large amounts of unmilled seeds and grains. What type of starch we are best adapted to is interesting because the role of starch in human evolution is so controversial. Richard Wrangham has suggested that utilization of cooked starches was one of the dietary quality innovations that fed our rapidly expanding expensive brain tissue as it evolved towards hominid size (Wrangham, 2003). Recent analysis throws a wrench in that theory because it suggests habitual use of fire came after encephalization, about 300,000 years ago (Roebroeks & Villa, 2011). However, this does not mean that such cooked starches did not change humans, even if it reduces their significance in human evolution. The burgeoning field of archeological starch grain analysis has transformed our view of hominids once thought to be mostly carnivorous. Microfossils on Neanderthal teeth from around 44,000 years ago show evidence of the consumption of many roots and tubers, some of which show evidence of cooking (Henry, Brooks, & Piperno, 2010). The full impact of the adoption of cooked starches on the human body has not been fully elucidated. One promising adaptation is the starch-digesting salivary amalyse gene, AMY 1 (Perry et al., 2007). Chimpanzees and bonobos have only two copies of this gene, humans have as many as 10 copies, though it varies quite heavily by population from 2 to 10 correlated with the importance of starch in the diet. Molecular genetic evidence places the origin of divergence on this gene at about 200,000 years, about the time when habitual fire use became common. Further genetic analysis shows that adaptations to root and tuber starch as a major source of calories may account for variation in human folic acid metabolism, since folic acid is usually low in starchy vegetables (Hancock et al., 2010). Another relatively unexplored avenue of research would be whether butyrate in the diet itself has led to decreased reliance on butyrate for colonic fermentation in some cultures that consume large amounts of dietary butyrate. The major source of butyrate in food is from the milk fats of grazing animals (Smith et al., 1998). It is most common in the modern diet in butter at 3%. It is possible that pastoral cultures consume substantial amounts of exogenous butyrate. Currently there have been few studies on oral consumption of butyrate in humans. Animal studies have been inconclusive, with some showing positive effects and some showing negative effects, which is complicated by the fact that if ingested orally it is also present in the small intestine, where it may play different roles (Sengupta, Muir, & Gibson, 2006; Wächtershäuser & Stein, 2000). A small study found orally-administered butyrate had a positive effect on symptoms of Crohn’s disease, but the method of administration was through pills rather than food (Di Sabatino et al., 2005). Another potential source of butyrate is fermented foods. Some fermented foods like ogi, a pounded fermented starch, contain measurable levels (Hesseltine, 1979). Fermented foods are worth examining evolutionarily because they represent another human dietary innovation in improving food quality. Fermentation increases the bioavailability of nutrients, breaks down starches, and reduces levels of anti-nutritional factors and toxins (Mugula, 2003). It is unknown how long humans have been purposefully fermenting food. Fermentation naturally occurs in the wild and many wild animals are known to indulge in such foods to the point of drunkenness (Dudley, 2002). Spontaneous fermentation and consumption of such foods by wild primates is unfortunately not well studied. However, fermentation is practiced by almost every known culture to some extent, with the largest diversity in fermented foods among African farmers (Dirar, 1993) It is estimated that fermented foods make up 1/3 of the diet of humans worldwide (van Hylckama Vlieg, Veiga, Zhang, Derrien, & Zhao, 2011). Exogenous fermentation may substitute for the reduced fermentative ability of the human gut.